One Way Car Rentals - U.S. Trying to get home, but don’t want to deal with the burden of toting extra luggage and checked-bag costs? Rent a car from Hertz and reduce your stress from airport chaos! One way car rentals are perfect for road trips or attending to business needs in multiple cities. 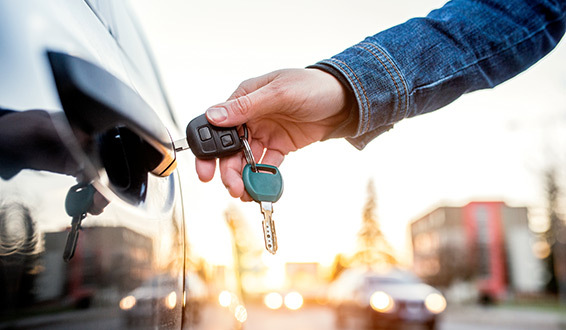 Or, if your travel plans get interrupted and you need to grab a car to get home, Hertz is there with fast, easy and convenient rental car options. Pick up and return your vehicle at one of our 4,000 US locations! Hertz Prestige, Adrenaline, and Green Traveler Collection vehicles are also available for one-way rentals to enhance your rental experience. Enjoy piece of mind even in the most unfamiliar place when you add-on Hertz NeverLost® to your Hertz rental car. 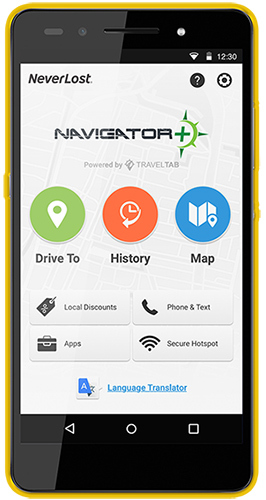 Our NeverLost product provides accurate mapping and fast routing/re-routing capabilities to make sure you get to where you're going faster and simpler. Upgrade your trip by including SiriusXM®* Satellite Radio in your rental car reservation. Hertz One Way rental cars equipped with SiriusXM provide you with more than 150 channels, including commercial-free music as well as the best in sports, news, talk, comedy, entertainment,and a collection of Spanish-language channels. *SiriusXM® is a registered trademark of SiriusXM Radio, Inc.